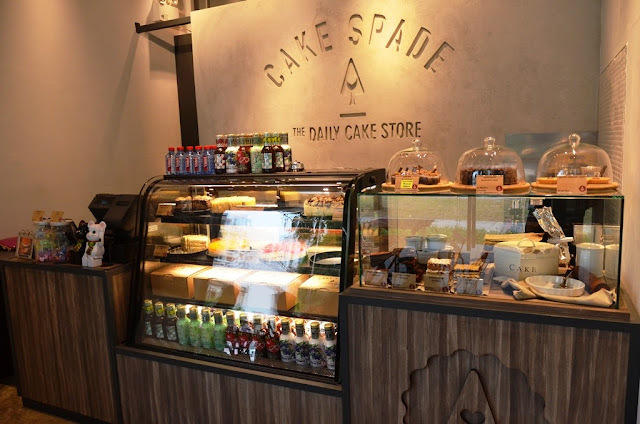 While on our recent hunt for good cheesecakes around in Singapore, we came across online reviews of Cake Spade (careful, you might want to slow down on the pronounciation), speaking of their tofu cheesecakes. 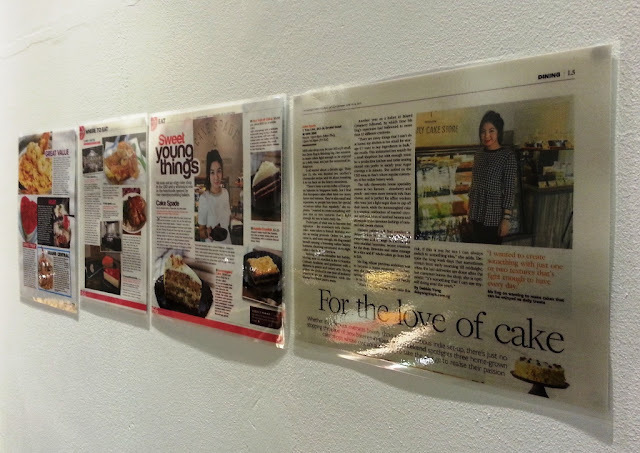 Single-handedly opened by Zenn with her hobby in baking which grew to a store front, it was a cosy space conveniently located at Orchid Hotel, a few doors down from Two Blur Guys. 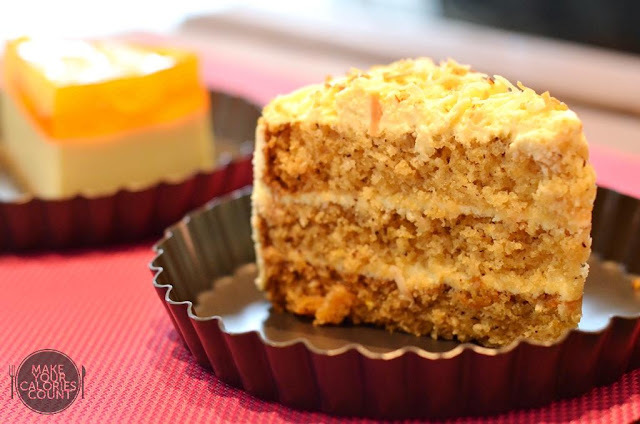 For first-timers like us, not to worry, simply ask for recommendations and you'll be greeted with an enthusiastic owner proudly recommending her craft for our pre-dinner cake cravings. On her list of recommendations were of course the tofu cheesecake, with no real tofu but silken soft cheese likened to the texture of tofu, the Hummingbird Cake, Chocolate Blackout Cake, Chocolate Banana Cake, its daily special of Peanut Butter Chocolate Cupcake and Salted Caramel Tart. Settling down with a Peach Tofu Cheesecake, we were pretty fascinated by how the cake bounces and clearly shown in the jelly portion. Similar to that of jelly hearts which some might be familiar with baking yourself, this indeed came with silken smooth cheese in the middle and a crumbly biscuit base rich in butter fragrance. The jelly portion came with very q jelly that made it slightly hard for cutting with that 'doiing doiing' touch to it. We loved the base but would have preferred the cake with a stronger taste of cheese. 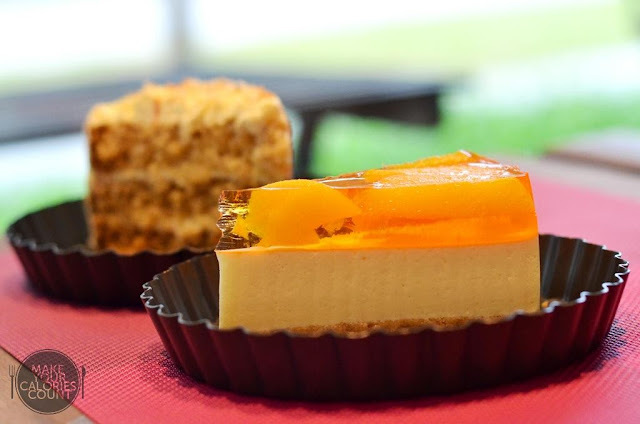 It was overshadowed by the strong peach flavour and sweetness from the peach cubes that it tasted more like a peach cake than cheesecake. Ideal for those who tend to shy away from the strong taste of cheese! 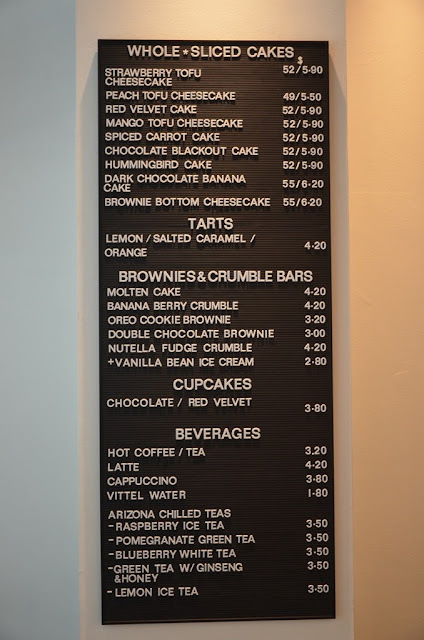 We were caught in a dilemma with the variety of indulgent choices on display. 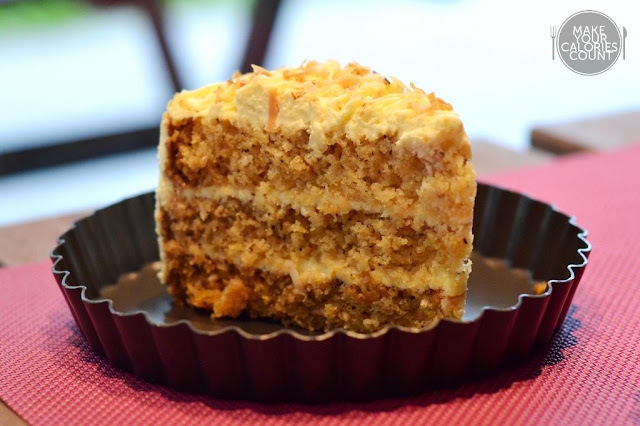 Deciding to get this for its interesting tropical combination of banana cake with coconut and pineapple, it got us curious for a second bite dissecting the tastes within. There was a nice fragrance of coconut, matched with a tinge of pineapple which reminded me somewhat of the taste you find in those kinda fruit cakes you buy off-the-shelf. We couldn't really find the banana in it, until we were nearing the end and eating it on its own without the cream cheese. It seemed to me like a hybrid between carrot cake and fruit cake, though it was surprisingly moist as we'd typically expect such cakes to be on the dryer side. It was a tad too rough, and you could feel the cake bits lingering after every mouthful. Well, not sure if it's to give an added texture, I would have preferred a softer and smoother cake to go along. A nice attempt combining these tropical flavours nonetheless! A small, cosy space that you might easily miss if you're not on the lookout! 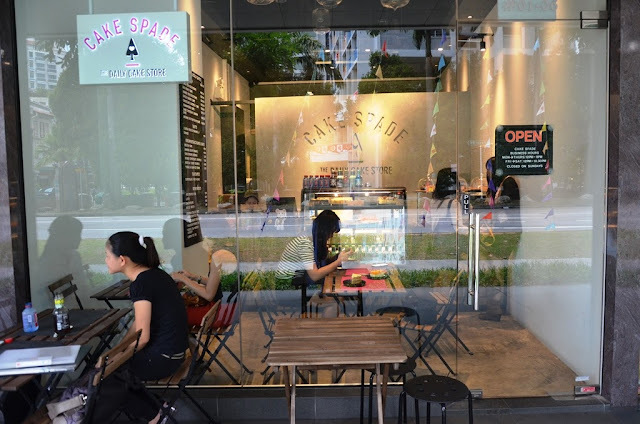 A good place to chill especially if you're working around the area, a pity that my office has shifted, else I'd probably visit more often to try out other flavours they have! 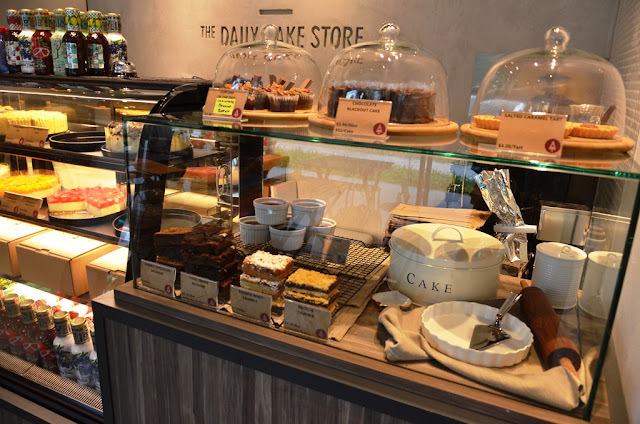 It may not have the cakes to impress, but it's a good place to have some downtime while digging into some decent sweet treats. haha yes you should if you are around that area! very decent place to chill out but there are only few tables, so you might want to takeaway some of their cakes if seats are full! thanks for dropping by anyway :)!